Every six months I ask the main three pastors of our church in Cofradia to share a quick update with you. They all have some important prayer requests so please check those out. It is very difficult to dedicate sufficient time to take care of the flock as pastors. For this reason, we have set up a way for you to help them out financially. One time gifts or monthly gifts can be made by clicking on each of their names. Please consider how you can help them. For a while now we have been experiencing growth in some leaders. Some are already preaching, others are leading worship, and still others are serving as deacons serving within the church and for the church. 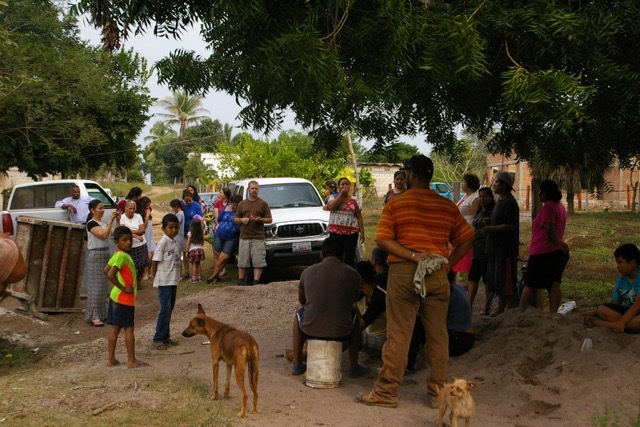 In Las Pilas, the sister in Christ in charge of the outreach there continues to do a good job in her own town. They gather continuously there locally, and in that way they are keeping the fire burning in that town. In short, we are very encouraged by the brothers and sisters who are rising up as leaders here in the church. To start off 2017 well, we will have fasting and prayer for twenty-one days, beginning January 1, with our focal verse being Galatians 5:1. Our theme for the year is “Let us live in freedom,” in order to keep alive the vision of Cofradía Christian Center and thus be a place where people come and find the truth and restoration through Christ who is the One who gives freedom (John 8: 31-32). In Las Pilas I would like to have a place specifically for the gathering of the believers who congregate there, and I hope that the Lord Jesus will help us this year to achieve it. For a long time I have wanted to achieve this, and I hope that soon we will carry it out with the help of God. We thank you for all the support you have given us financially and in prayer, giving thanks to God for His gift which allows the kingdom of God to have many feet and hands. Thank you and may God bless you. 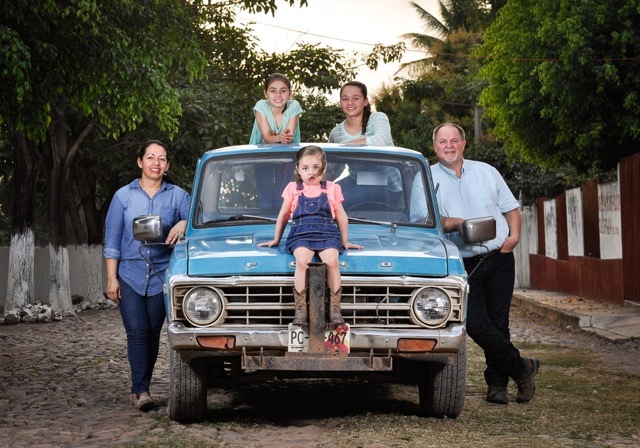 Pastors Gregorio and Maty Hernández and family. We greet you in the name of our Lord Jesus Christ, hoping that you are well, just as we are all well. As always, we thank God for your prayers and for the generosity you have shown us all this time, supporting us with your resources, which is and will ever be a great blessing for me and my family. My wife and I graduated from Summit Bible College with a Bachelor’s Degree in Christian Counseling, and it is an honor to have done so, growing in the knowledge and character of Christ along the way. We are still studying together for our Masters in Christian Counseling, in the hope of help those in need in their marriage and family. 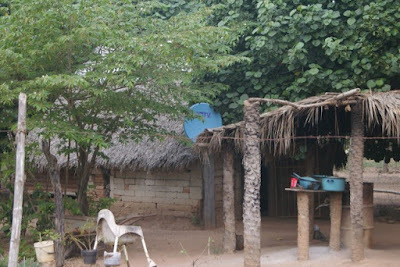 We completed EL RETO (the CHALLENGE), and it was another season of great blessing. Over the six weeks of EL RETO, we had the opportunity to invest in the new young people who came to the event, and we had a good time with the five captains who helped us by leading teams. We gave them more responsibility, which they enjoyed, introducing the name, design, and vision for their team. Pastors and leaders of other churches were involved in the event, and their young people were blessed as well. My wife and I are working in many areas in the ministry of the church, and we are very happy to be laboring together for the same God. One of those areas I am involved with is the construction of houses for Dwellings. We are building three houses for people who are in need, and it is a very special moment when we hand them the keys to their home and are able to bless them with the word of God. Recently, my wife and I have had the opportunity to attend women's and men’s retreats, and our relationship is much better for attending those events. Our children are also well here with us. We ask your prayers for. ● A house that we want to buy. ● One of my children does not know what to study and is discouraged. Please ask God to speak and guide him toward what He has for him. ● For the youth of our church to find their true identity. Thank you for praying for our requests, and thank you for your support. Brothers and sisters, I send you greetings and good wishes of blessing and hope God is preserving you in good health, as he has done for us. Thank you for your clear demonstrations of generosity toward us through your financial support. We are pleased with what God is doing in the lives of those who believe. We continue to participate in the ministry of the local church. Thanks be to God, I had the privilege of sharing God's Word for the church on Sunday, November 12, 2016. I also thank God that we continue ministering to the indigenous community of Mojocuautla, in the home of Antonio and his wife. Antonio has become a believer, and I hope that God will raise him up as a strong leader in his town.. I also thank God for the ministry of Dwellings, through which many have received the blessing of having a house built for them. One was built in November, and I had the pleasure of working on another last month in December. Brothers and sisters, please keep Martin in your prayers. He is working as a missionary in the mountainous village Mesa del Nayar, where he works with youth and children. 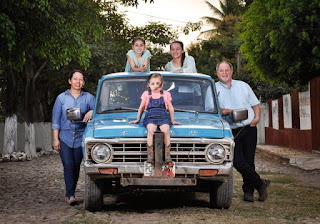 Horacio Garzón Orozco and Maria, Alfredo, and Kenya. Greetings from Cofradía, Mexico! HAPPY NEW YEAR!! The sun is rising! It’s a new day with new opportunities! We put our hope and trust in the Lord and He allows us to be His witnesses to share His love. We discussed briefly at our last staff meeting what each of us would like to work on this year. John Maxwell states that “leadership is influence; nothing more, nothing less.” The question is, what are the effects of our influence? Positive or Negative? As we Raise up Leaders in Rural Mexico, I want my influence to be intentional with a refurbished focus gazing at life through God’s lens. We pray that this year is a blessed year for all of you who read our updates, give towards our ministry, and pray for our family. We love you and thank you very much for being a part of our team as we Raise up Leaders in Rural Mexico. Mazatlan Women’s Conference: The reports from all the women who went were phenomenal. Many of them shared testimonies of how God impacted their lives through the speakers and worship. Thank you for your prayers! Drug Rehab Center. A portion of the land has been paid for and we’re waiting for the paperwork to be completed. House Build. An excellent time with the Ramos-Garcia family. Just as this house was a gift to be received, so is salvation that comes from God. It was an excellent opportunity to share with the family and offer them an invitation to be part of God’s family. Click here to see photos as we started and finished the project. 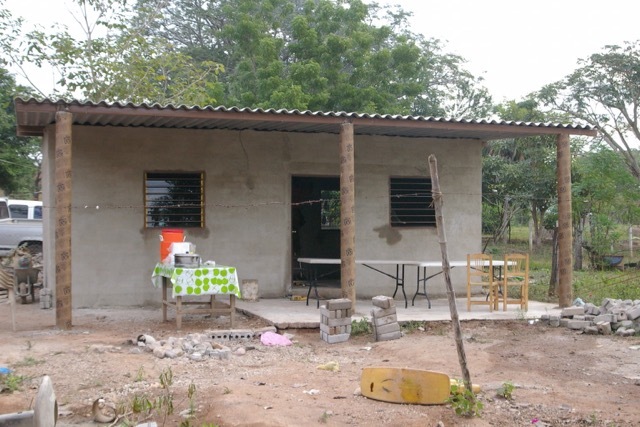 Thank you to Hosanna Asamblea for sponsoring this House Build. Bible College: The students have been off for a while and we are still considering ways to continue as it is very difficult and expensive for people to come out to class from other towns. EL RETO 2016: If you missed any of the reports or are curious about EL RETO, click here to see the latest. Bible College: Please pray for us as we continue to analyze the direction the school is going. As I mentioned above, it is logistically difficult for many of the potential students. We start our next class on January 10. Border trip. We need to make a trip to the border to renew our truck permit. As January and February are busy months, there are many ministry and school activities we need to consider as we plan. Pray that we will find a window to do this before February 20. Today was an exciting day for not only the Ramos-Garcia family, but us as well as we handed over the keys to the house to the new owners. 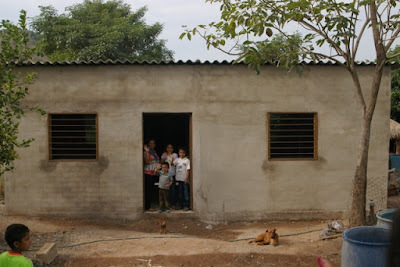 Pastor Luis, the lead construction worker, led the dedication of the house with some very nice words and how this house being a complete gift is similar to the gift of salvation. This was a material gift that fades away, but salvation is a spiritual gift that lasts an eternity. What an amazing time! Thank you to Hosanna Asamblea for sponsoring this and being a very important part in an effort to reach people who are not only in need physically, but spiritually as well. The Family in their new home. Those who attended the dedication. You can help a family, too! Contact us for more information.